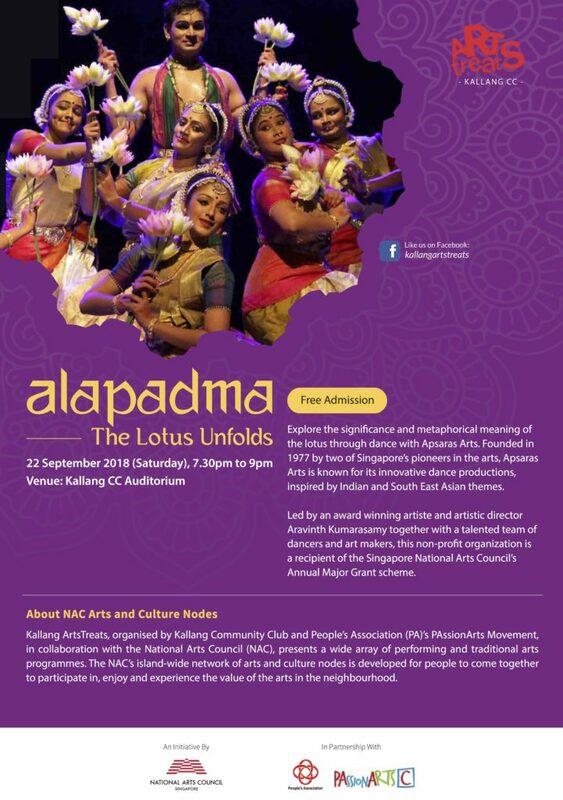 Venue: Kallang community Club Auditorium. Free Admission by Invitations please write to apsaras.arts@gmail.com to get your invites. Inspired by the multiple symbolic representations of the lotus in different cultures of the world, the dancers and musicians from Apsaras Arts explore its significance and meaning through bharatanatyam in Alapadma – The Lotus Unfolds. This dance production draws inspiration from the multi-faceted symbolism of the lotus and will explore its representation in mythology, iconography and philosophy, particularly in the ancient civilisations of India, Egypt, Iran and Southeast Asia.